WASHINGTON, DC - Congressman Thomas Massie (R-KY), Jared Polis (D-CO) and Dana Rohrabacher (R-CA) will offer bipartisan legislation on the floor of the House today to expand and improve consumer food choices and to protect local farmers from federal interference. Their amendment to the Farm Bill is expected to receive a vote in the next 24 hours and would remove the FDA prohibition on interstate transportation of raw milk while still respecting state laws regarding raw milk. The FDA should not have the power to shut down peaceful farmers selling milk to willing consumers. It is Congress’s job to legislate. Federal agencies that are part of the executive branch (such as the FDA) do not and should not have this power. This amendment simply says that if two States have legalized the sale of unpasteurized milk, then no federal department, agency, or court may take any action to prohibit or restrict the interstate traffic of milk between those two States. This amendment would prohibit the federal government from interfering with the interstate traffic of raw milk products between states where distribution or sale of such products is already legal. With a debt of over $21 trillion, the federal government also does not have the time, money, or resources to chase down and prosecute peaceful farmers. This is an issue of both personal freedom and smart government. “It’s legal to drink raw milk in 50 states. It is legal to sell raw milk in 28 states. The Feds need to quit arresting farmers for taking raw milk from one raw milk state to another raw milk state,” said Rep. Massie. On May 19, I re-introduced the Senior Citizens Tax Elimination Act (H.R. 2552). This bill would assist our struggling middle class by eliminating an unnecessary and unjust double-tax on seniors. Social Security itself is financed by tax dollars, so forcing senior Americans to list these benefits as taxable income on their tax returns is absurd. This sneaky technique allows Congress to obtain more revenue for the federal government by taxing benefits owed to citizens who have paid into Social Security most of their lives. 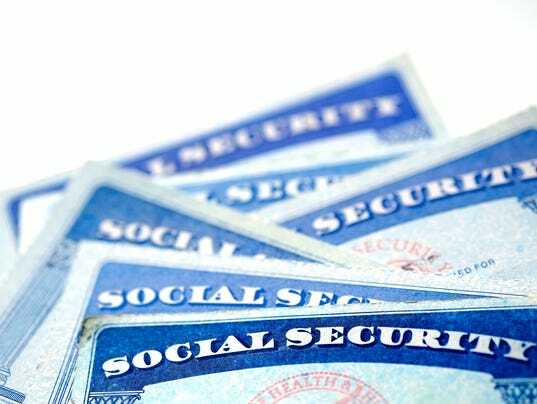 When Social Security benefits are taxed, they are, of course, reduced for the person who receives the benefit. As the Congressional Research Service reports, "Until 1984, Social Security benefits were exempt from the federal income tax. The exclusion was based on rulings made in 1938 and 1941 by the Department of the Treasury, Bureau of Internal Revenue (the predecessor of the Internal Revenue Service). The 1941 Bureau ruling viewed benefits as being for general welfare and reasoned that subjecting the payments to income taxation would be contrary to the purposes of Social Security." In other words, the 1941 equivalent of the IRS viewed the taxation of Social Security benefits as being unjust and contrary to the purpose for which Social Security was created. For over 40 years, then, Social Security benefits remained untouched by tax-happy congressmen. What made Congress change its mind? Well, perhaps the opportunity to obtain more revenue for the federal government was simply too enticing for most lawmakers, who didn't see anything wrong with taxing Social Security benefits to get more money for the government's coffers. When Congress first implemented the tax in 1984, it set politically palatable levels so as not to affect middle-class retirees. However, because the thresholds for taxing Social Security have not been adjusted for inflation, more and more retirees are now subject to the tax. What was considered a generous retirement income in 1984 is no longer comfortable, so eliminating this tax will benefit increasingly large numbers of Americans. As the number of retirees forced to pay this tax increases, public awareness of the tax on Social Security benefits will likewise increase. If congressmen are inundated with complaints from their constituents regarding this unfair and unjust tax, surely Congress could find the will to reduce or eliminate it altogether. HR 2552 was originally introduced by Rep. Ron Paul in 2003. Original co-sponsors of the version I introduced this month include Reps. Jim Bridenstine of Oklahoma, Rod Blum of Iowa, Ron DeSantis of Florida, Trent Franks of Arizona, Louie Gohmert of Texas, Alexander Mooney of West Virginia, Dave Brat of Virginia, Steve Knight of California, Daniel Webster of Florida and Andy Biggs of Arizona. It is time for Congress to end this tax. 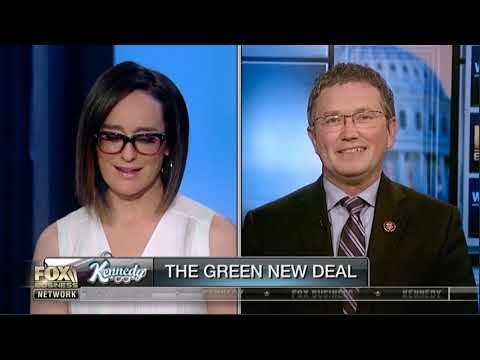 Rep. Thomas Massie is a Republican representing Kentucky's 4th District. U.S. Representatives Massie and Pingree Introduce Bill to Revive Local Meat Processing. 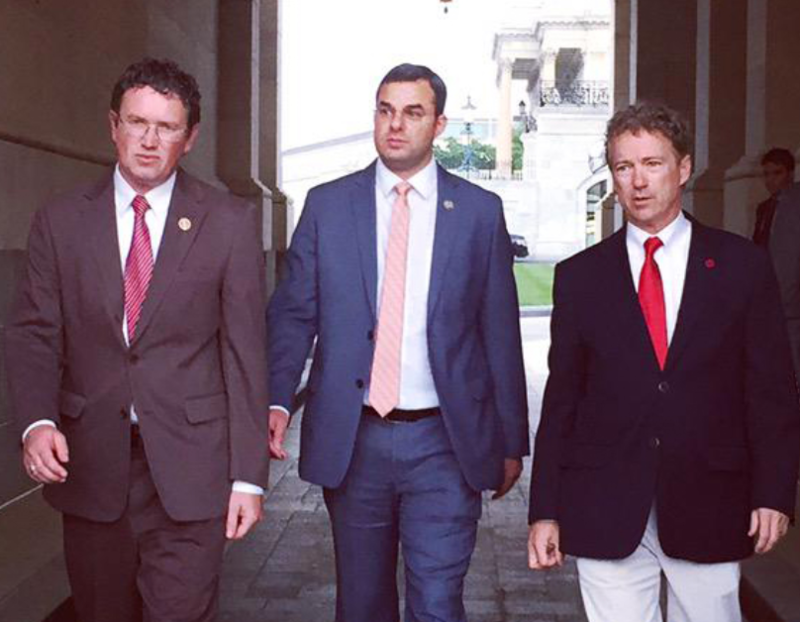 Senators Angus King and Rand Paul Introduce Companion Legislation in the Senate. "The PRIME Act will help to alleviate the burden imposed on small farmers who currently don't have access to USDA-inspected meat processors,” stated Elizabeth Rich, president of the Farm-to-Consumer Legal Defense Fund. “It's a good step toward support for local, sustainable food production." Current law exempts custom slaughter of animals from federal inspection regulations, but only if the meat is slaughtered for personal, household, guest, and employee use (21 U.S.C. § 623(a)). This means that in order to sell individual cuts of locally-raised meats to consumers, farmers and ranchers must first send their animals to one of a limited number of USDA-inspected slaughterhouses. These slaughterhouses are sometimes hundreds of miles away, which adds substantial transportation cost, and also increases the chance that meat raised locally will be co-mingled with industrially-produced meat. The PRIME Act would expand the current custom exemption and allow small farms, ranches, and slaughterhouses to thrive. Original co-sponsors of the PRIME Act include Reps Walter Jones (R-NC), Mark Meadows (NC-11), Justin Amash (R-MI), Dana Rohrabacher (R-CA), Glenn Grothman (R-WI), Jared Huffman (D-CA), Raul Labrador (R-ID), Tom McClintock (R-CA), Zoe Lofgren (D-CA), Mark Sanford (R-SC), Rob Wittman (R-VA), Jared Polis (D-CO), Kevin Cramer (R-ND), John Garamendi (D-CA) and Dave Brat (R-VA). 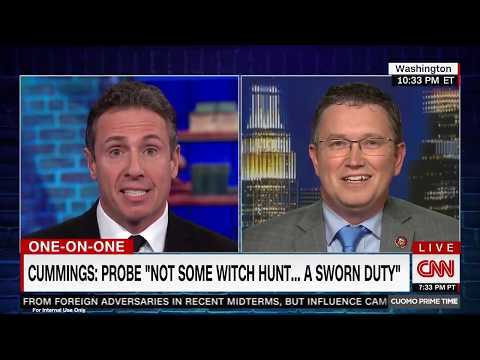 Congressman Massie on CNN: "President Trump Has Extended an Olive Branch to North Korea"
Congressman Massie: Nancy Pelosi Just Told Democrats, "Santa Isn't Real"
Congressman Massie on Shannon Bream: What does a Democratic House mean for the GOP agenda? I startled Neil Cavuto by actually answering his questions. 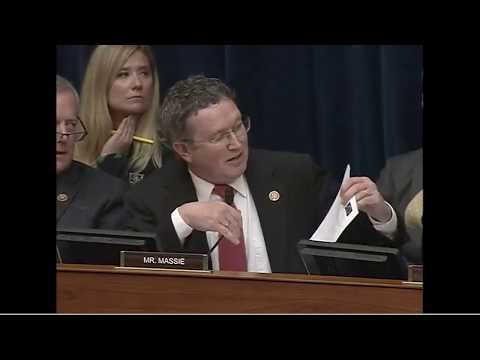 Thomas Massie on the Bogus Balanced Budget Amendment. The House Committee on Transportation & Infrastructure has jurisdiction over roads, bridges, mass transit, railroads, aviation, maritime and waterborne transit. Thomas’s selection to the Oversight and Government Reform Committee puts him in a position to hold the federal government accountable to taxpayers. 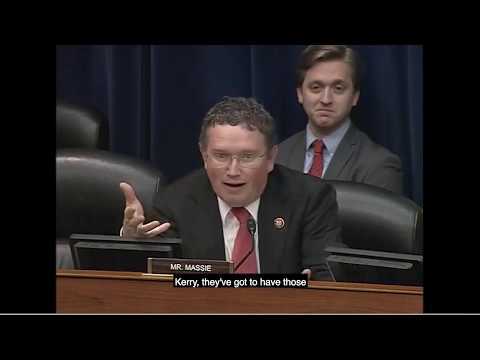 Further, Rep. Massie’s background from MIT and the high-tech business world makes him uniquely qualified to serve his state and country on the Science, Space, and Technology Committee. @beyondreasdoubt @StevieD401 @JennaEllisorg You have my follow, not merely as a reparation, but also because you tweet good stuff. @akchein @JennaEllisorg @realJennaEllis That’s it!